What is the SI Joint?The sacroiliac joint or SI joint is the joint that connects the sacrum with the pelvis and is located on each side of the lower spine. The SI joint’s main job is shock absorption. It does this by transferring the forces of the upper body to the lower body, which includes the hips. This is a very stable joint due to its anatomical configuration and strong ligaments. 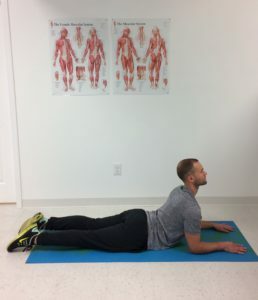 There are also strong muscles surrounding or reinforcing the joint such as erector spinae, psoas, quadratus lumborum, piriformis, abdominal obliques, gluteal muscles, and hamstrings which all make it even more stable. Despite being so stable the SI joint is in fact a mobile joint, though minimally, which allows it to perform proper shock absorption during weight-bearing activities and motions. We will get to this in a moment. Why Is This Joint So Important? The most pivotal responsibility of the SI joint is to limit stress and force between the hip and lumbar spine. It does this by anatomical configuration and its shear strength. This comes to play in many daily situations such as standing, walking, sitting, lifting heavy objects, or exercises such as performing squats and jumping activities. Now that you have learned a little about the SI joint and its significance, it is just as important to know what happens when it is not functioning properly. SI joint dysfunction is one of the leading causes of low back pain. It is often hard to diagnose initially because the symptoms are similar to sciatica or lumbar disc herniation, but it is usually found during physical examination that includes movements. Inflammation at the joints is also common in SI joint dysfunction. The causes of SI joint dysfunction, however, are varied but fall into the category of hypermobility (instability) or hypomobility (stiffness). This goes back to an earlier point, which is in order for proper shock absorption, the joint needs to stay mobile but can not become overly mobile to the point of instability. Symptoms include: pain on one side (more common) or both sides of the body, pain in the lower back and/or hip, pain in the thigh and/or glute, pain that radiates down the sciatic nerve (similar to sciatica), groin pain, and is most common among young and middle-aged women. It can cause painful sitting and difficulty getting out of bed or car without experiencing pain. In order to prevent SI joint dysfunction from occurring, it is important to know the causes of instability or stiffness. In most cases, the cause is due to muscle imbalances. These muscle imbalances can include weak glutes, hips, hamstrings, core, and lats. Not only is hip strength and stability important, but also mobility. Other causes are poor posture such as leaning more to one side, running which creates a repetitive pounding on the joint, repetitive or violent twisting motions, and pregnancy due to hormones being released in the body that cause your joints to become more mobile and loose. If chronic back pain occurs it is always important to find the cause and location before any specific treatment is to be performed. With this stretch you simply want to extend the opposite leg and bring the other leg to your chest and hold. You could also use shorter holds and alternate which turns this into more of an exercise/dynamic stretch. 3- Core strengthening exercises. A good example is a forearm plank (see Ref. 4); although basic, it is a very effective exercise to strengthen your core. Make sure you are contracting your abs and lifting from the toes. Hold for about 60 seconds or as long as you can during each rep. There are also several other exercises that you can do at home to address the SI joint. See Ref. 5 for a video demonstrating 3 common exercises. Lastly, use proper posture and focus on sitting properly, making sure in particular that you are not leaning on one side more than the other, and practice self-awareness.